I was expecting VFIN to go for a debenture at this time. A clever decision before the deposit rates go to 14%. If so VFIN will have to pay at least 15% to attract investors. Once they secure the money they can lend it for a higher rate as the interest rates go up in coming months. Going for a debenture issue is the best source of funding. 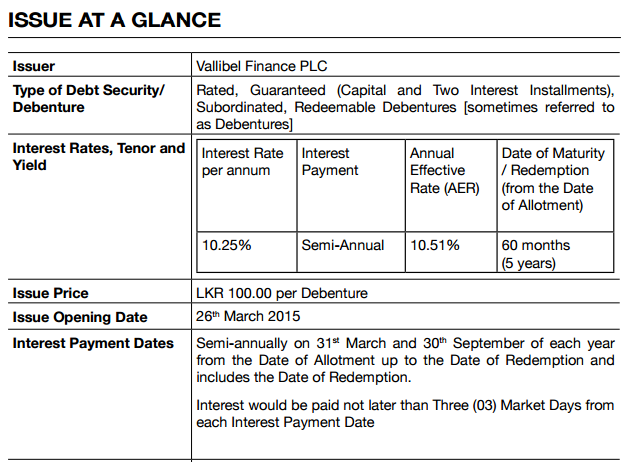 VFIN will pay the capital on maturity and only interest payments involved until that. Secondly, when VFIN lend money the loan is recovered partly capital and partly interest. This will give more working capital funding for VFIN. Now they will get 1 Billion cash. We can see earnings going up in the next few quarters and years to come. 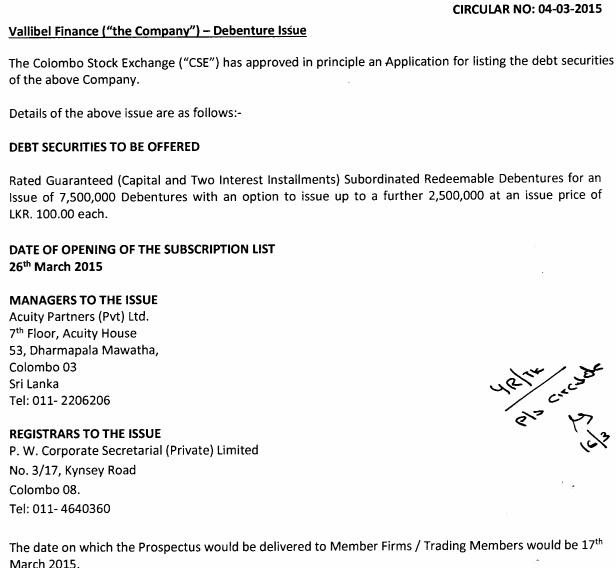 Is this debenture to pay back the debenture issued in 2012 and 2014?